Sol Pasta | A life well styled. 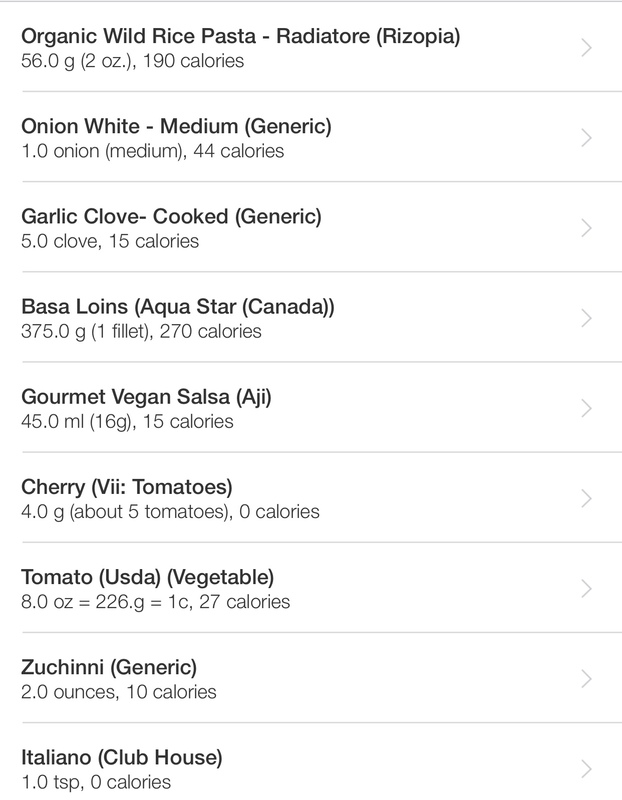 I always use the app MyFitnessPal for Iphone when cooking meals while on a diet because I find it is the most accurate in determining calorie/nutritional value of your prepared meal. 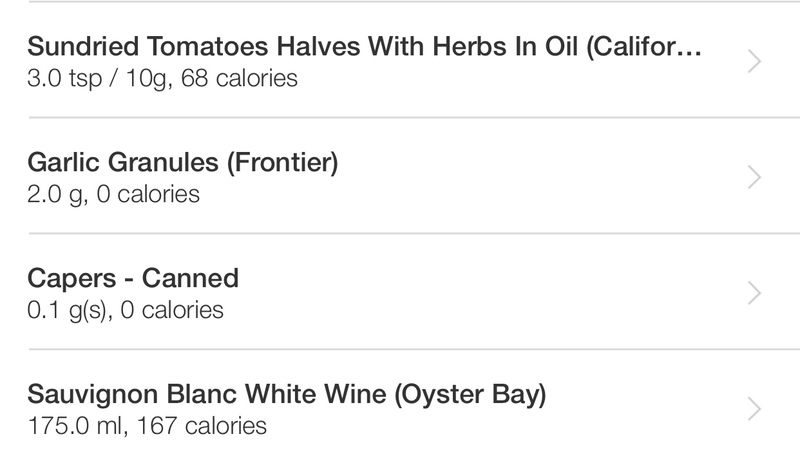 Below I have posted photos of the ingredients used, including amounts, and calorie intake of each item. To pasta base add in chopped tomatoes, Vegan salsa, Garlic Granules and Sauvignon Blanc, turn heat to high. Get the sauce up to a nice reduced state. 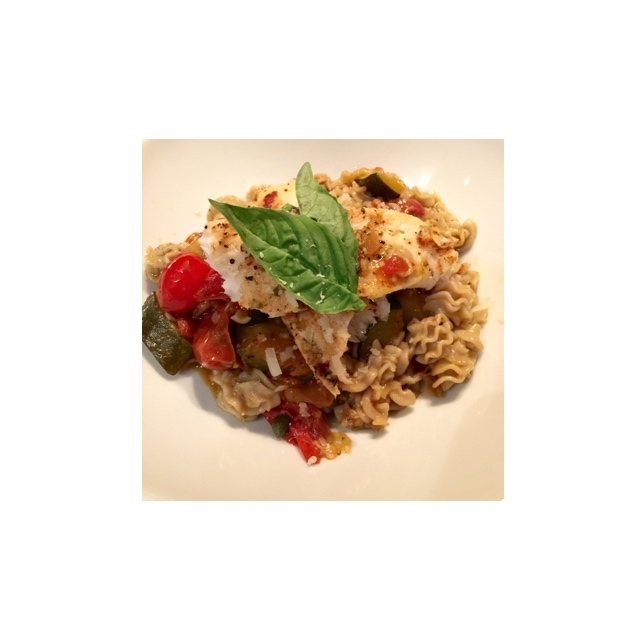 Add rice pasta to pasta sauce, toss, service immediately with two pieces of Basa on top.